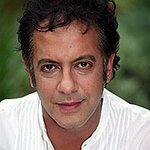 Jimmi Harkishin is an actor best known for his role as shop owner Dev Alahan in Coronation Street. Jimmi is Vice president of Baby Lifeline, a charity which offers support to pregnant mothers and new born babies all over the UK. Google trends for "Jimmi Harkishin"
We don't have any videos related to Jimmi Harkishin.